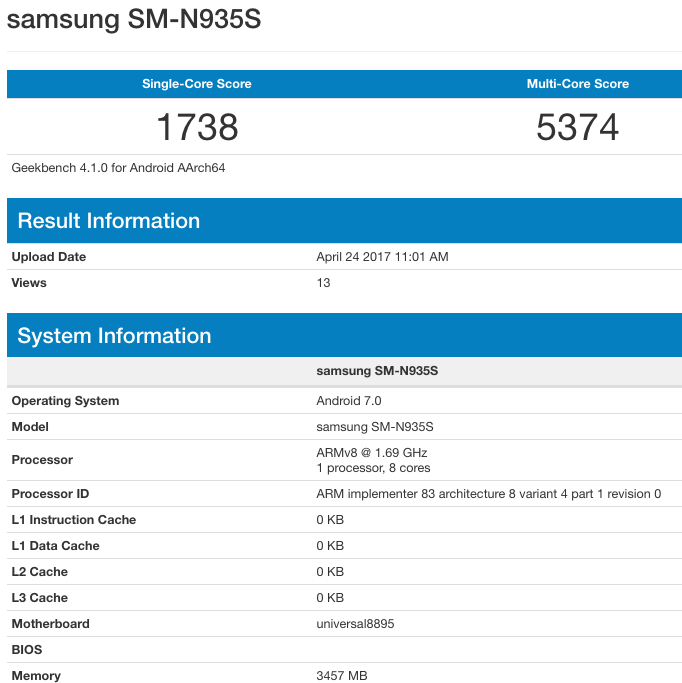 Is Samsung Testing Out Exynos 8890 and Exynos 8895 SoC Variants for Galaxy Note7? Samsung’s Exynos 8895 was announced a while back, becoming the first 10nm FinFET SoC made by the tech giant to be found inside the newly released Galaxy S8 and Galaxy S8+. Now the latest development in the form of a benchmarking leak shows that the previously abandoned Galaxy Note7 would be given a second breath of life and perhaps to appease future customers, the phablet could be released in both the Exynos 8890 and Exynos 8895 SoC models. 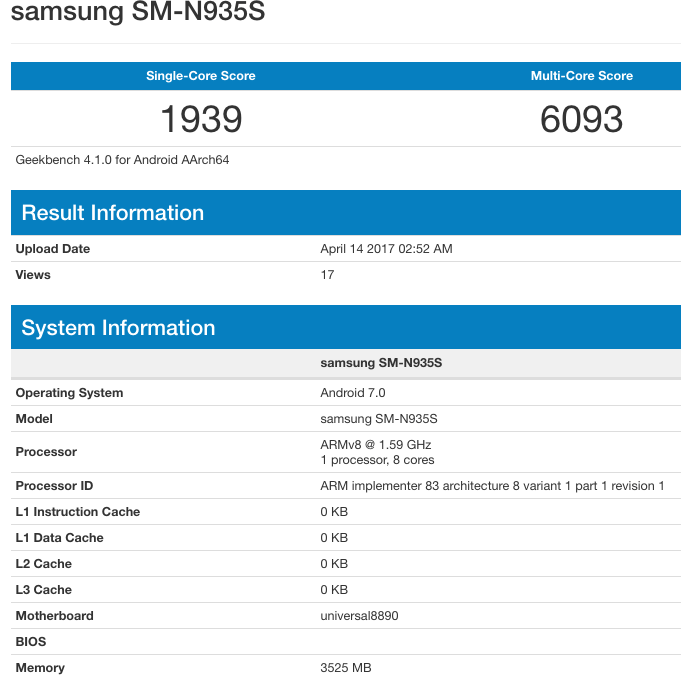 Geekbench Leak Reveals Two Different Scores Belonging to Exynos 8895 and Exynos 8890 Chipsets – More Powerful Galaxy Note7 Refurbished Models in the Works? Both the benchmarking scores of the smartphone variants have been given below and one reason why we continue to say that these SoCs might be incorporated inside the Note7 is because of the model name detailed in these leaked scores, which is SM-N935S. Naturally, Geekbench scores and smartphone model names can easily be manipulated so we would not become driven with confidence that Samsung will be rolling out two different variants for the public. However, if this leak turns out to be true, then it looks like the price of the higher-performing Galaxy Note7 could be priced at $620, according to a previous rumor. 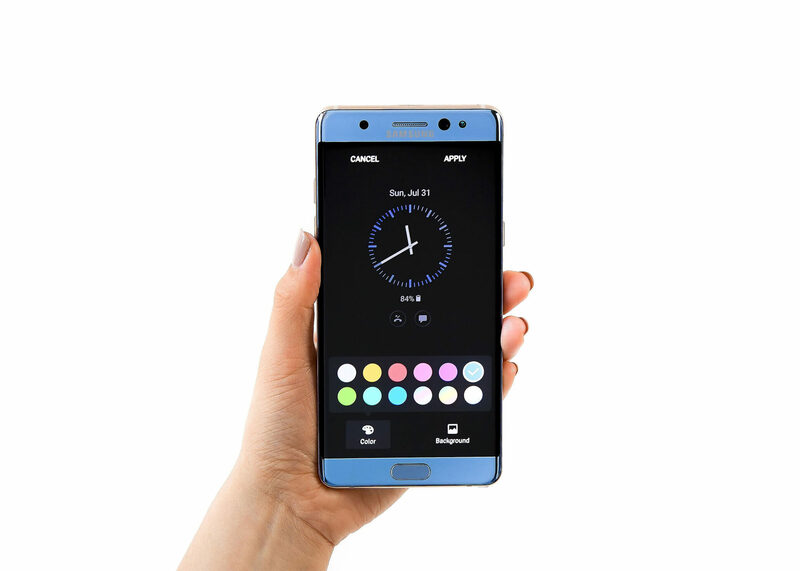 There are no other details revealed regarding these models other than the fact the design of the Note7 and battery capacity of the upcoming models could be changed. In case you are wondering, the Galaxy Note7 tout a flat screen instead of the curved-edge glass that was present in the original version and the cell powering the whole smartphone could be in the range 3,000-3,200mAh. The flat screen models could prevent the puncturing of the battery, which could have been a reason why the Note7 ended up exploding in the first place. Do you think the Galaxy Note7 would end up selling well if its get released in the form of refurbished models or is Samsung wasting its resources with this move? Let us know your thoughts in the comments right away.